Mini Galaxy of Change is foreseen as a baby blanket and it measures 39″ (99cm). Of course you can make it bigger to make a full-size blanket or bed cover. 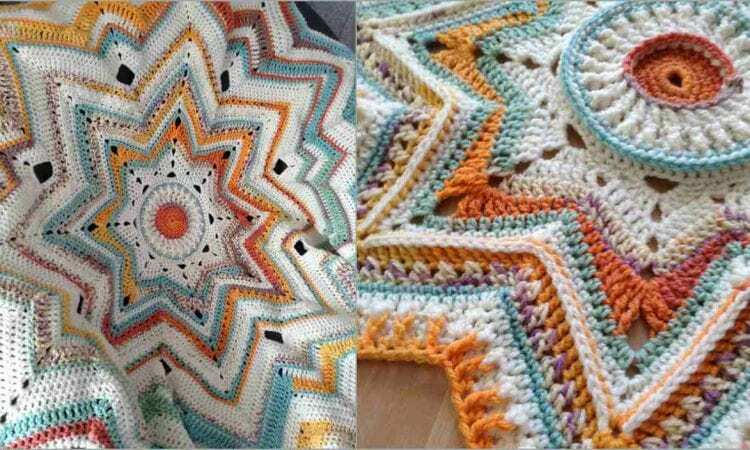 I enjoy patterns which give crocheters a lot of possibilities of their own creations. Here, I will show you the most amazing hue combinations, but the number of variants is essentially limitless. Let your imagination run wild. I hope you will enjoy it! A link to a free pattern is at the end of the post. Go to the free pattern here, or see more details about Project 1, Project 2 and Project 3.